Now I totally get it. The one salad I know that will keep you full all day is the Paul Bunyan. 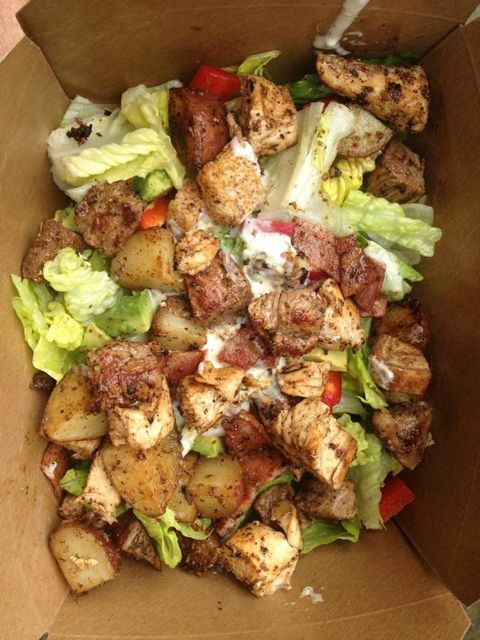 Your Choice of Meat (Grilled Chicken, Grilled Steak, Ground Beef or Italian Sausage), Romaine & Iceberg Lettuce, Seasoned & Roasted Baby Reds, Bacon Chunks, Red Peppers, Red Onion, Garlic Croutons and your choice of dressing, which they recommend the Signature Blue Cheese. I did upgrade to the grass fed beef, per their suggestion. Believe it or not, but the beef was very tender, which is not a common comment about grass fed beef. We loved the salad. Tons of flavor, very large and super satisfying. Now I know why all the locals just love this place. 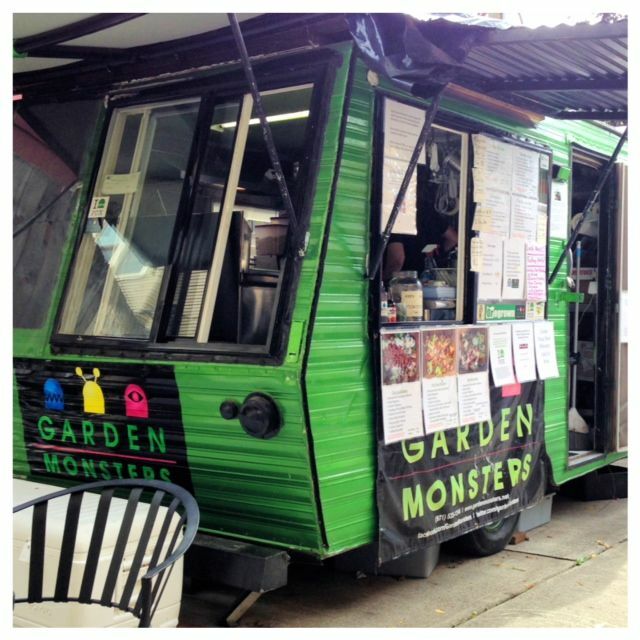 He uses fresh local ingredients (when possible) and all his dressings are homemade. He doesn’t skimp on anything. It’s all top notch quality ingredients and you can tell. It wasn’t just us that thought these salads were great. Out of 4 food carts, his had a constant flow of traffic. While we were there the owner, Kyle, told us about an opportunity to move his cart into Downtown Portland. While this is a great opportunity for him, you can imagine the disappointment from all those on Alberta that look forward to his salads. He might have a solution and you can help. He is doing a Kickstarter campaign. He is trying to raise enough money to get a second cart so he can stay on Alberta. Go ahead, check out his Kickstarter he’s offering some pretty cool options. The Downtown crowd is in for a treat. There are some great salads coming your way. Atmosphere at this little pod is quite, quaint and tucked away from the street. Pricing was good. $9 got us a large salad with grass feed beef and he doesn’t skimp on the beef. He had quite a few drinks to choose from.